A good tour guide can unlock your destination by providing context to the scenes before your eyes. The same goes for a shopping experience — watching locals interact at a market, or chat at a bookstore, can tell you more about a place than any guidebook itself. From cooking classes in Italy to London's flower and food markets, here are TripSavvy's favorite tours, classes and shopping experiences for 2018. Fremont's Theo Chocolate has a retail shop where you can sample all matter of chocolatey goodness, but it's worth it to take it a step further and learn how these delicious, fair trade chocolates are made in the first place. Tours of the Theo Chocolate Factory teach you about the chocolate-making process, but also a bit about the chocolate industry and current issues surrounding it. You’ll spend time both sitting and listening as well as getting a look at the factory and how Theo Chocolate creates chocolate from start to finish. The Maid of the Mist boat tour in upstate New York is as close as you’ll get to Niagara Falls without plunging over the falls in a barrel. The 600,000 gallons of water per minute churning over the falls produces a thundering roar, enveloping spray and awe-inspiring views. The 300-passenger boats sail right up to the base of the three waterfalls that make up Niagara Falls — Horseshoe Falls, Bridal Veil Falls and American Falls. Every guest gets a poncho (even the dogs), but still expect to get wet. With 25 aircraft in operation, 52 pilots on staff and more than 250 employees in peak season, Kenmore Air is among the best-known and most respected seaplane operations in the world. The company flies an eclectic mix of piston de Havilland Beavers and turbine de Havilland Otters and Cessna Caravans, landing passengers on lakes, harbors, and tarmac among the mist-shrouded fjords and islands of the US and Canadian northwest. The tours offered by the airline provide visitors a unique way to enjoy the destination as well as the opportunity to visit and explore more remote areas that aren’t as easily accessible. 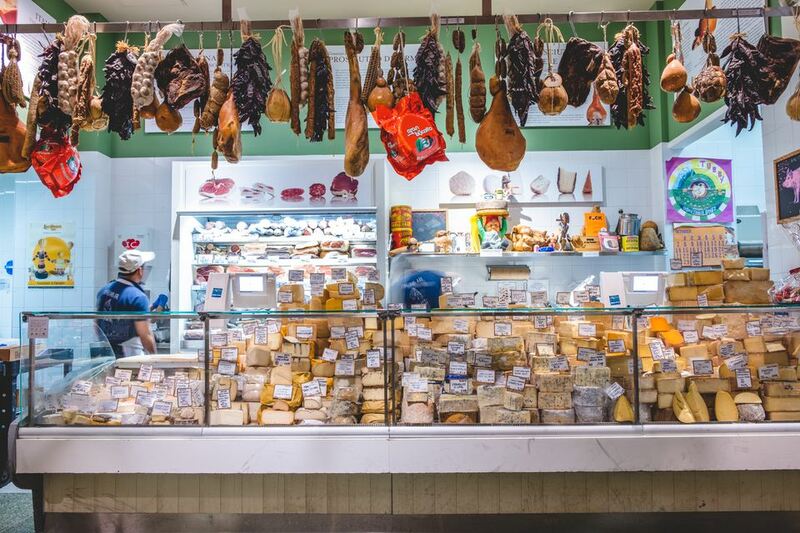 ﻿Wandering the aisles of food stalls at Eataly, you may feel as though you've left New York City and been transported to an outdoor market in the streets of Florence. And that's the point. This New York City staple is a carb-lover's heaven, and now boasts two locations—Flatiron and downtown—and four more across the country. Not only can you choose from various counter-style and sit-down food stalls (conveniently organized by primary food group), you can also grab a glass of Pinot and take in the skyline at the Flatiron location's magnificent rooftop bar. Although the name was chosen with irony, with each passing day it continues to seem more and more appropriate. Currently dominating 22,000 square feet of space in revitalized downtown Los Angeles, The Last Bookstore continues to buy, sell and trade books as they first did on day one of opening. In addition to over 250,000 new and used books on two floors, including their new Arts & Rare Book Annex, their shared space includes tens of thousands of vinyl records and graphic novels, a huge mezzanine level that includes the Labyrinth Above the Last Bookstore, Gather Yarn Shop, and the Spring Arts Collective gallery shops, making it a destination that truly has something for everyone. Colourful piles of fresh produce, from cherries to cheeses, can be found inside Granville Island Public Market. Opened in the 1970s as a farmers market, the bustling indoor market is also home to local artisans selling art, homeware, and gifts. Each food seller has tasty treats to try but head to Oyama Sausage Co. for cured meats and pates (take a ticket to keep your place in line and try the truffle duck pate), pick up pickles from Kaylin and Hobbs, and buy baked goods from Terra Breads. Enjoy your picnic outside, with views of the ferries on False Creek. Dating to the 13th century, Borough Market is London's oldest food market and still draws massive crowds today. Packed full of stalls selling delicious treats from artisans and small batch producers, it's a great place to get a taste of the British food scene. Hop from stall to stall sampling charcuterie from Cannon & Cannon, cheese from Neal's Yard and English wine from the Wine Pantry or create a gourmet picnic to eat in the grounds of nearby Southwark cathedral. Don’t leave without ordering a cup of Joe from renowned roaster, Monmouth Coffee or picking up a gelato-stuffed brioche from 3Bis.